Save with Incredible Toyota Highlander Specials in Georgia! The automotive market is flooded with SUVs and crossover vehicles of all shapes and sizes, from just about every manufacturer you can think of. That’s part of what makes it so difficult to sift through your options and choose the one that is perfect for your needs and desires. If you’re in the market for a midsize SUV that hits all the right notes, you can’t go wrong with the Toyota Highlander. This midsize SUV is a standout among its competitors in a variety of ways, including engine power, cabin quality, and standard feature offerings. It has plenty of interior space, comfort, and capability, and it also bears mentioning that because the Highlander is a Toyota, it is genetically engineered with the automotive giant’s reputation for excellence in engineering, safety, and long-lasting value. So where can you go to explore this incredible midsize SUV and all of its offerings for yourself? If you’re near Valdosta, GA, or Tallahassee, FL, you’re in luck! 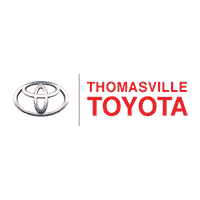 Thomasville Toyota is a short drive away and at your service with an amazing selection of new and used Toyota Highlander models. Visit our website to see what we have in stock, and then head to our dealership when you’re ready to see your favorites in person. Our friendly and knowledgeable sales representatives will be standing by to help you navigate our inventory and find the perfect Highlander for you! What’s more, with Thomasville Toyota’s low everyday prices and special offers, we make it even easier and more affordable for you to drive home the Highlander of your dreams today. The 2019 Toyota Highlander comes in several unique trim levels and offers a variety of features. The base LE provides automatic high beams, a rearview camera, rear privacy glass, a 6.1-inch touchscreen, a reclining 60/40-split third row seat, a CD player, lane keeping assist, adaptive cruise control, rear air conditioning, a height-adjustable driver’s seat, forward collision warning, a six-speaker sound system, a sliding and reclining 60/40-split second row seat, Bluetooth®*, and automatic emergency braking. The LE Plus adds satellite radio, blind-spot monitoring, a leather-wrapped steering wheel, HD radio, tri-zone automatic climate control, and more. The SE gains 19-inch wheels and LED running lights. Drivers who choose the Limited will receive rear parking sensors, driver-seat memory settings, heated and ventilated front seats, and more. The top trim – the Limited Platinum – offers automatic wipers, front parking sensors, a panoramic sunroof, and a surround-view parking camera. The Toyota Highlander was introduced to the North American market in 2001, as a car-based crossover with ample interior space and a long list of features and amenities that made it an instant hit among SUV lovers. The Highlander was so well-received, in fact, that it was for a while Toyota’s top seller, only being bumped out of that spot by the RAV4 a few years later. A redesign in 2008 introduced a standard V6 engine, a larger third-row seat, and more interior space. In 2015, the Highlander’s third generation kicked off and has continued to update, upgrade, and refresh in the years that followed. 2017 saw styling updates, and as Toyota has shown its ability to stay ahead of the curve when it comes to keeping its vehicles on the cutting edge, it’s likely the Highlander will continue to be a strong contender in the SUV class for years to come. Why Buy or Lease a Highlander from Thomasville Toyota? Drivers in and around Coolidge, Quitman, and Valdosta trust Thomasville Toyota because they know that we offer an extensive selection, excellent prices, and unbeatable customer service. Whether you’re in the market for a brand-new Highlander or any other Toyota model – or a pre-owned car, truck, van, or SUV of any kind – Thomasville Toyota has you covered. View our inventory online to get a better idea of what you’ll find on our lot, and then visit us for a test drive of your top picks. When you shop with a dealership that puts your needs first, you’ll be thrilled with the results.